This wraps up another year of Hempstead Project Heart's grassroots push for passage of the 2018 Farm Bill. Our staff traveled to farmers markets, harvesting events, powwows, and night markets throughout Wisconsin and Minnesota. We educated and inspired close to 3,000 people on the benefits of growing hemp for people and the planet. 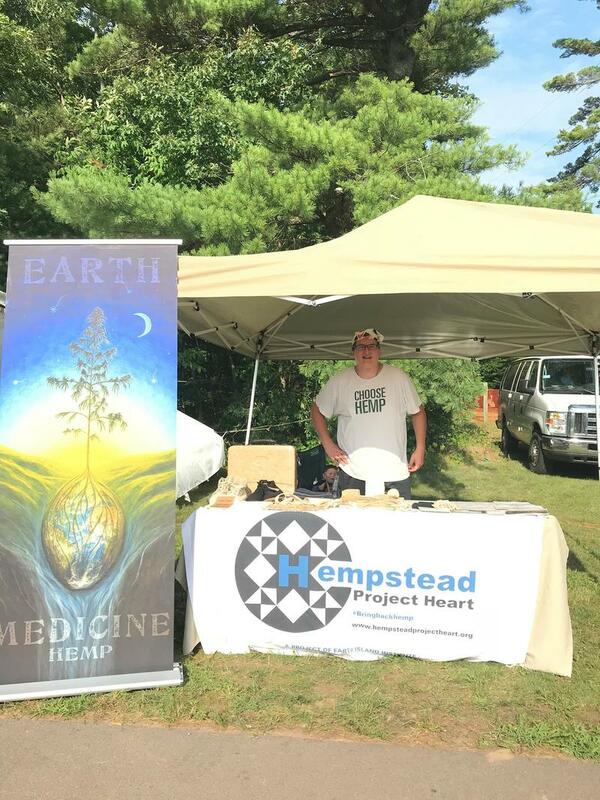 We sold hemp t-shirts, 3D printed hemp pens, hemp fabric coffee filters, and gave away over 300 CBD samples to tribal elders, farmers, and the larger Midwest population. With every interaction our message was simple, call and write your Congressional representation and tell them to pass the 2018 Farm Bill with tribal soverenighty upheld. We hope our supporters are enjoying their hemp products and are continuing the hound Congress to affirm tribal sovereignty. It has been a successful year so far for our movement and we're looking forward the first Wisconsin hemp harvest in over 50 years. Indian Country is close to #bringinghempback to our communities. John Trudell would be proud to see where we've come since the Reefer Madness days. The environmental conscious of American society is waking up to the benefits of hemp. Let's hope we still have a chance to mitigate Climate Change and sustain our Mother Earth for the next seven generations.